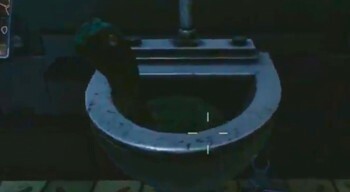 The Easter is here and nothing better than creating an entertaining compilation featuring the best easter eggs found in video games released this Spring. Despite the extensive release date since the start of the year, there aren’t many surprising or remarkable easter eggs yet. Probably because most mainstream games are one or two months old, meaning players didn’t have enough time to deeply explore the new virtual realities. Nonetheless, enjoy the following funny and unexpected remarks in Spring 2014’s games. 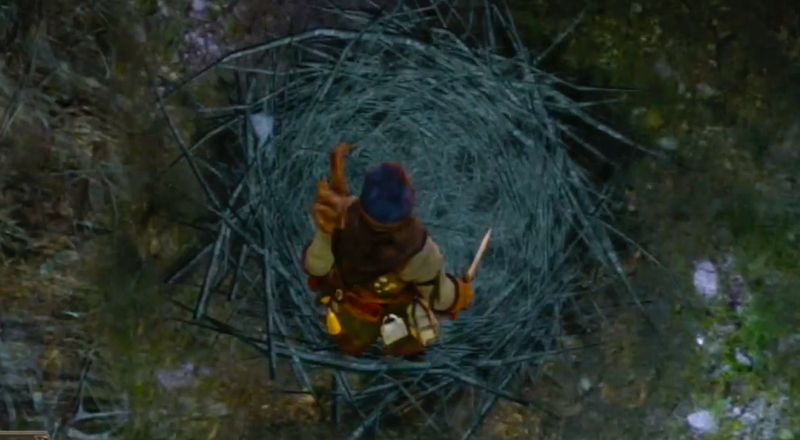 In Dark Souls II, there’s an amusing reference to the previous game concerning a bird’s nest. 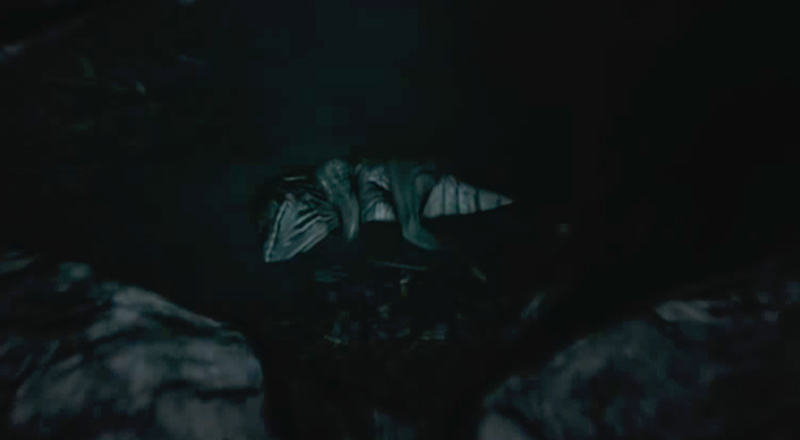 After defeating the Asylum Demon in Dark Souls I, players can find a bird’s nest with little hatchlings requesting a gift. 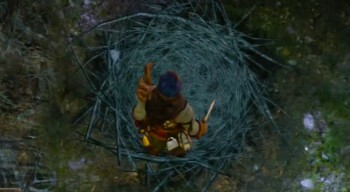 In the second game, players can find this same nest and gift them something in exchange for a mysterious item. It’s an interesting connection between games. 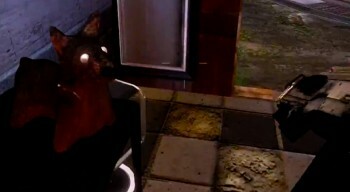 Inside a bar in Nexus, there’s a peculiar dark brown dog doll with sparkly eyes. 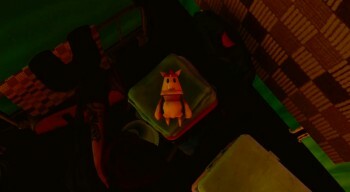 The animal is generally imperceptible to most players due to its lateral positioning and its very dark color that blends with the table he’s on. This could perfectly be part of the bar’s decoration but if you look closely, it wouldn’t make any sense to put a dog doll in a customer’s table. 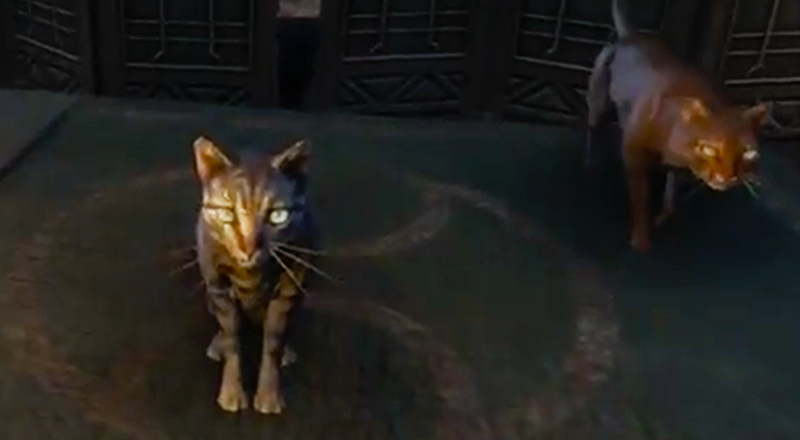 Probably the most hilarious easter egg found in The Elder Scrolls Online so far, is the wicked cat group located in the Crazy Cat Lady’s House in Ebonheart. When entering the house, several cats will jump around, some will solely make noises and others will stare at you endlessly. Eventually, some cats will perform strange moves too, it’s quite funny. 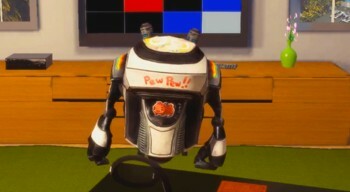 The PewPew Robot is an easter egg triggered when you enter the hanging crate. This robot has the words “Pew Pew” scribbled on his back and the interpretations may differ. It can be understood as a popular culture symbol relating to a science fiction space gun. But it can also relate to the famous YouTuber, PewDiePie. During Thief’s chapter three, Dirty Secrets, in the underground ruins, players can find a dead animal in the water that resembles a dinosaur. 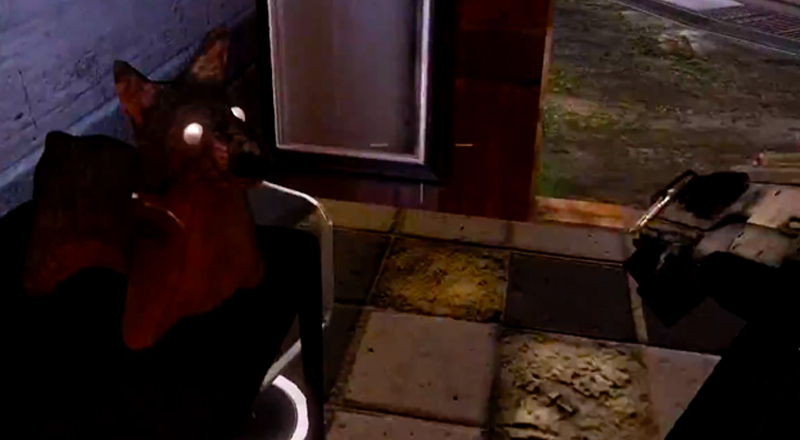 However, it’s a dead burrick, a bizarre bipedal animal from the original Thief series. This is a clear attempt to relate to the previous games and it was surprisingly well executed – that burrick is actually well hidden! Another hilarious reference to other series in inFamous: Second Son is the Knack plushy. This cute plushy is a representation of Knack, a platform beat ’em up game that features a protagonist with the same name. Knack is a friendly robot with elementary powers. What’s the relation now? Oh, it’s about Sony Computer Entertainment, the publisher of both games. Titanfall’s Odyssey Map has a very peculiar bathroom or more specifically, a very unusual object there. In this map’s restroom, there’s a sink with nothing more, nothing less than a lock ness monster toy. This creature is a mythical cryptid, whose existence has never been discovered or documented by scientists. Despite being a random choice it’s still quite humorous. 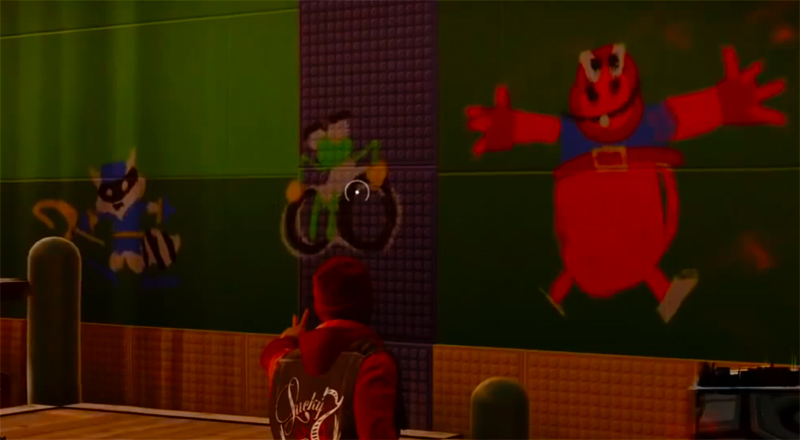 The famous Cooper Gang from the Sly Cooper series appears in inFamous: Second Son at the Sienna’s Smith Play Zone. 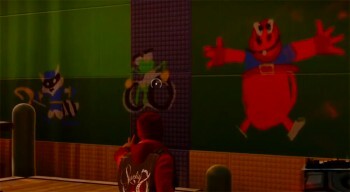 In one of the walls of the park, there’s a huge graffiti featuring some of the Cooper Gang members – Sly Cooper, Bentley and Murray. It’s a fairly controversial choice taking in consideration the game’s criminality background. This curious egg can be achieved by shooting a large bird during the Mirror of Fate quest. While tracking lost pieces of the mirror, players will reach a forest area in Overlook Tower and that’s when the bird will show up with a piece. 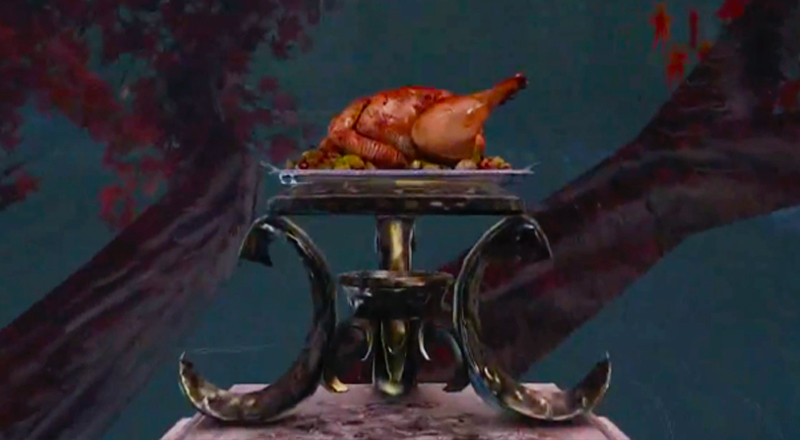 Killing the bird using a fireball will turn it into a roasted chicken – pretty hilarious, right? Though, if you use others skills, nothing will happen. South Park: The Stick of Truth has a hilarious reference to the TV series, season 9 episode “Won’t Come Out of The Closet”, where Tom Cruise literally won’t come out of the closet. 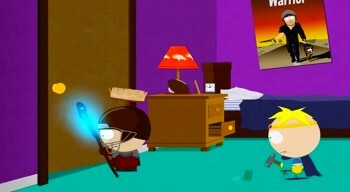 In game, this easter egg can be triggered by going to Stan’s house. There’s a closet in his room and inside, there’s a self-locked Tom Cruise screaming: “I’m never coming out”. Next articleWhatever Happened To… The Unrivaled Crazitude of ‘Project Rub’?